I started off better than I thought I would, and better than others first timers in the store. The booth was colorful and there was plenty of fun merchandise to choose from. 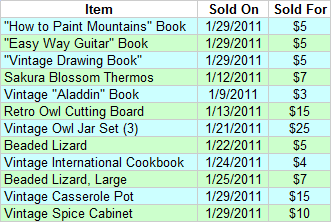 It's interesting to look at what sold first, and on what dates. 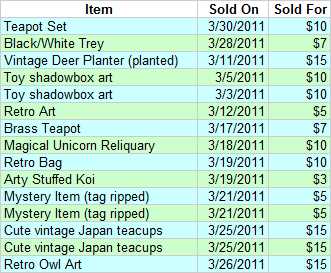 I added a load of fun items I found yard sale hunting at the end of the month, but sales were slower this month than the month before. Earlier in the month I didn't add anything at all, it was impossible for me to work on the booth. This was the best month yet. I sold plenty of items and received a better check for my efforts this time. Better, but not fantastic. I don't devote much time to the antique store booth, so I get out what I put in, unfortunately. I added some new items, re-staged the booth a bit, but it looks like I only had 2-3 sales this month (I don't have my official numbers yet). I may clearance out the current inventory and add a whole new stock, at this point in time I need fresh merchandise and a fresh look for my little corner of the store. Final Thoughts: I feel like its time for me to expand. I can't add all my merchandise or stage my booth properly without more space. I also need to take a more business-like approach to this experiment. I have enough data to examine, a bit more merchandise to sell before I go on the hunt for more in earnest. I haven't aggressively staged and re-staged to make sales, but I feel like now is the time to try it and see what happens. Got Questions?Advice? Please share them in the comments. This is so neat! I really enjoy reading these types of posts. I'd like to be able to do this at some point. I think it is so neat & it would be a quazi step to owning my own shop. You can see what you can do, etc. Thanks again for doing these types of posts! ps. I know from selling on etsy that its a lot of promoting your own shop & you really do get what you put into it. Sometimes I just don't have time! Moe: Glad it was helpful. It's true, you have to treat it like a business and work it a bit if you want to make decent sales. I have basically tagged and set my merchandise, than ran with it, only checking in 1-2 times a month. That's why my profits are not stellar. I've been selling on eBay over the past few weeks after years of not doing it. My sales have been phenomenal, and I am totally stoked to sell as much of my stuff as possible to build my savings back up again after a stroke-inducing tax bill. Just last night I had some Polaroid film and a handful of marbles end. I made almost $200. And the week before my marbles garnered almost $350. I'm glad you shared your profits & commission, my curiosity has been fulfilled. It actually costs less than I had suspected. And for not putting much time into your booth, I'd say its done well. 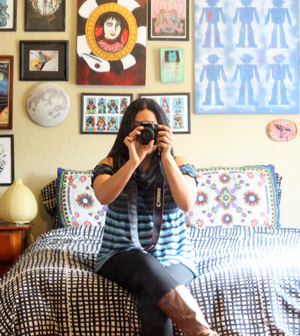 Moving to a larger space should be pretty exciting and hopefully it will help you increase your sales. Katy: I'm jelous of your Ebay sales and successes! Your one week of sales is more in profit that my four months at the antique store! Online selling is an excellent way to go, but not when you're in an office all day. I don't have the time. Jackie: I forgot to mention the rent for the complete picture, it's $37 per month, so on February I basically only covered my booth cost! I do think a larger space to stage my wares would be helpful. Also, bringing in more furniture to display out front on the weekends. Furniture sells well there. Thanks for sharing, I really enjoy hearing about how others are doing in other areas with their booths. Love your style of treasures! I just upgraded into an 8x8 booth from an open case about 3 weeks ago. I mostly have ephemera and little vintage stuff for altered arts...plus, small repainted furniture pieces. I have been visiting and re-staging about 2-3 times a week. We get a pay-out every two weeks. I LOVE having the booth, no need to worry about feedback or receiving 1 or 2 stars (reducing the possibility for an ebay seller discount)...it's almost like having a small retail store without having to be there all of the time. Thanks for posting up so much detail - really cool to see what goes on in an antique booth. I think we've given up the idea of having a booth for now - maybe next year, since we just can't risk too much right now. Though, if I could get that kind of rent I might reconsider! Stampin' D'Amour: You got that right! A huge perk to booth vs. online selling for vintage is the lack of hassle with online feedback, making online listing, multiple fees, and the the hassle of shipping!. For a busy person like me it's a local store that's just around the corner is a better option. I just drop off the merch, so simple! A La Modern: When you're in a routine with selling it would be hard to suddenly switch to a local booth! Hope I didn't lead you astray with the rent prices. I had to pay an additional rent fee of $37 per month! When I expand, it will be double that and more pressure to make sales. Fun to notice the patterns just now- see how sales increase near the end of the month? this is fascinating. we've had two antique malls close in our area since Christmas and from what i read, some of the owners said that online sales have killed them. so it's interesting to me that you're doing well with your booth (at least that's what it looks like from where i'm sitting!) i'd be interested to know the actual profit - including what you paid for items in the first place. Thanks for posting your numbers. I was at our local mall this weekend marveling over some of the cluttered, dust covered, booths and wondering how any body makes any money there. I overheard two of the ladies who work there discussing the booths and how some just pile up with stuff and dust. According to them the people who are successful are the ones who constantly rearrange their merchandise. I looked into selling there and the cheapest booth (8' x 10') is $280. I can't imagine actually being able to make a profit with rent that high. So then I wonder how can these people afford these booths. Do they just consider them fancy storage units that might turn a profit? I had been on the waiting list, but I think I will pass on that place. Seeing your numbers I think I could make a profit by working on my booth once a week. However, I'm a little disturbed by their overall attitude. I understand the owners just collect rent (no commission), but you think they would care about their sellers making a profit. If they just allow folks to let their booths languish for months it's clear to me they only care about rent and don't care about increasing sales for the overall good of the business. I had looked into that mall because it's the one closest to me. I haven't written a booth off entirely I just need to research more places in the area. 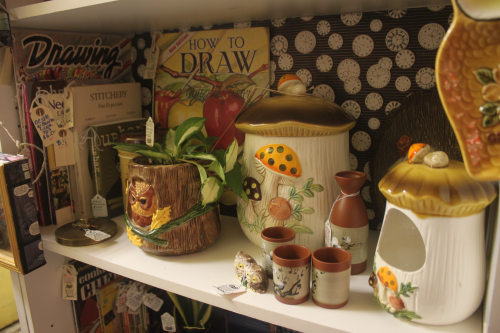 There may be a new flea market in town too and I'm hoping to give that a go this summer. Angelika: I've been bad and wouldn't have exact numbers for how much each item cost, but I'd like to put together the most curate profit numbers possible for this project as soon as I can. At least there's some profit, it's progress! Monogirl: Damn, that's some high rent! I've often thought the same thing, some booths have the same merchandise just sitting there unsold for months, I guess for some, it's a VERY overpriced storage option they enjoy as a( potentially profitable) hobby. Your honesty is so helpful. I started a 'shelf' in February this year and change it around, subtract and add items 1-3 times a week. I am finding out what attracts and what is not popular. Like you I am keeping a close eye on sales, costs, restocking costs, rent costs and cheque less costs. I was lucky to get a shelf near the front desk of the store and it does help with impulse sales. Making the shelves 'fresh' is very important for sales. Great post, Van! I've been looking into a retail space lately and it seems in Arizona the average rate is $2 a square foot per month. I've been considering trying it out for three months and seeing how I do compared to online sales. Unfortunately, the store I really like is full right now. There is an antique mall near me that has such a high turn over, I've often wondered it's due to high rent and bad displays. I love digging through estate sales and thrift stores and what not - but when I go to an antique mall setting, I don't really want to have to dig. I'm amazed when a reseller puts out some dirty Pyrex then charges crazy prices. I think your display looks awesome and I wish people who run booths near me had your attitude regarding the way their merch looks! 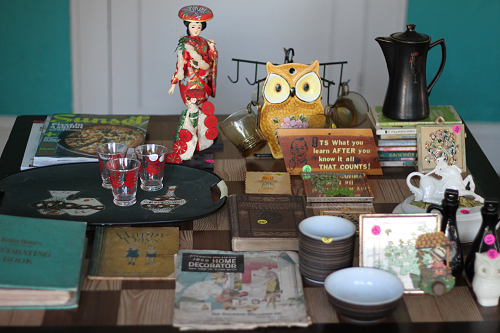 A Vintage Green: I'm now inspired to get to the store tomorrow and refresh my shelves. They need it! 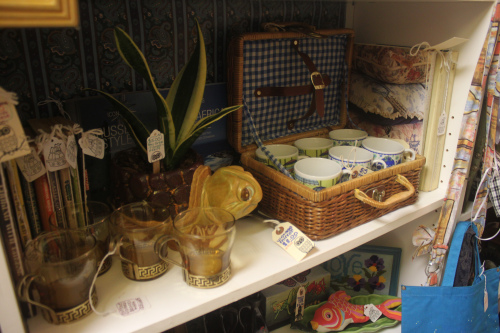 Flo: At my shop you'll find cutely staged stuff, sometimes cheaper than thrift store prices. Oh, it's so dangerous to be in there and not spend any money... I quickly retreat from antique stores with dirty items for insane prices. On a side note: I couldn't believe the HIGH prices at one Goodwill store I went into today! I don't know who is pricing the stuff at this location, but it was priced higher than stuff I've seen at antique malls! Hmmm what money have you put into the booth merchandise? I'd like to see that chart too then you'd know for sure exactly how much you are making. BUT if this is for fun and a way to keep on thrifting then what ever the final amount made is, no matter how little, it's worth it. Laura: I don't have exact amounts for all of my merch, because honestly, some of it is stuff I was tired of looking at in the house. I was going to donate that old broken Chinese umbrella, for instance, and someone bought it for $3 instead. I'll take that instead of nothing! I'll update with all the amounts I have an estimates for the stuff I don't have prices for. Everything I bought to sell in the shop was typically free to $5. I love how organized you are, it's really inspiring! I so live vicariously through you; how you manage to be so organized, creative, generous and well-written, all in a days' work, is beyond me. Kudos! Hi Van ~ I'm a new reader, and I just love your blog! I'm gearing up to start selling at a local antique mall here in Minnesota, and although I am super excited, I am terrified! Your enthusiasm and know-how are really a great help! Thanks so much! Looking forward to reading more! Super belated post but I just started my shelf at an antique mall on May 1 and I've been reading your blog for advice and help and general distractions! Any tips for tiny spaces and even tinier shelves? My boyfriend and I made them out of plywood so they're teensy-tiny. My bad. Correction: I started April 1. No one can start in the future!